The original music for Suzy Dear (or Suzi Dear, or Suzie Dear), a song Mike Dolfi (or Myk Dulfi, or Myk Dölfi) brought with him from the New Standard. 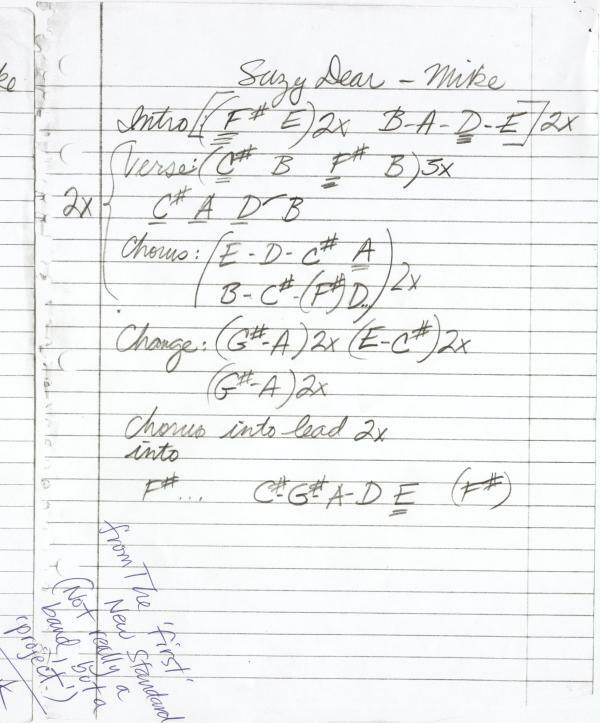 The handwriting and notes are George Dively's—this was part of a stack o' photocopies he sent to me (thanks, George!). Spelling ambiguity is the order of the day here.